“We hope it doesn’t happen. But what if UNESCO withdraws Taj’s world heritage tag considering the present situation. It will be such an embarrassment. Who is responsible? Decide amongst youself ”, said the bench. The Supreme Court today slammed up the UP government, ASI and the Centre for pulling in different directions regarding the preservation of Taj Mahal and said the maintenance of the iconic ivory-white marble mausoleum has become a joke. “The Taj Trapezium Zone management is a flop. Everything has become a joke. What is this Tamasha going on? You can make a comedy show out of it”, Justice Madan B Lokur told the District Magistrate of Agra who had been summoned to the court. The bench of Justice Madan B Lokur and Deepak Gupta also said it will be an embarrassment if the UNESCO withdraws its world heritage tag accorded to Taj. The court was particularly angry as it found that 1,167 polluting industries still functioned from the Taj Trapezium Zone (TTZ) in clear violation of several of its orders and there was no authority to own up the brazen violation of its earlier orders. “We hope it doesn’t happen. 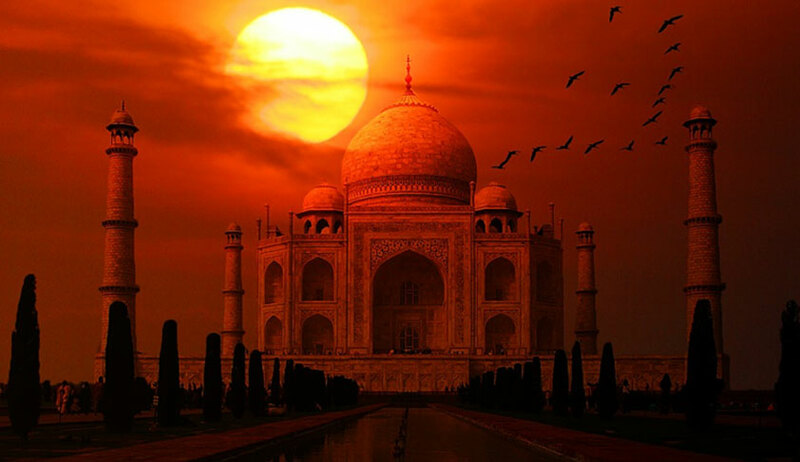 But what if UNESCO withdraws Taj’s world heritage tag considering the present situation. It will be such an embarrassment. Who is responsible? Decide amongst yourself ”, said the bench. “ There is a multiplicity of authorities- UP govt, Tourism ministry, Environment ministry, ASI but no one does anything. The left-hand does not know what the right hand is doing”, said Justice Lokur. The court was very angry as there were no convincing answers from a huge battery of lawyers present in the courtroom including Attorney General K K Venugopal , Centre’s topmost lawyer, as to who was the authority in charge of the upkeep of Taj Mahal and or to ensure that court orders were being complied with pertaining to the Taj Trapezium Zone (TTZ). INTAC, Aga Khan Foundation, ICOMOS for inviting their comments. While the UP government in its vision document said each of their project might take two to three years, the court said: “What can be implemented within a short period consult the conservationists and tell us by July 31”. The UP government had on July 24 submitted a vision document and told the Supreme Court that entire precinct of the Mughal era monument should be declared a no-plastic zone and all polluting industries in the region closed. UP government had filed the first draft report of a vision document on protection and preservation of the 17th-century monument. The bench had earlier lashed out at the government for having no plan to save the monument which has become discolored due to pollution. The draft vision document also said roads along the Yamuna riverfront should be planned so traffic is limited and pedestrian movement encouraged.